Trinity Healthcare Services offers speech, physical, and occupational therapy for residents who need to restore or enhance physical and life skills. Our care and therapies are especially important to residents with Alzheimer’s and dementia diagnoses as they age. Receive care from qualified therapists prescribed to meet the individual needs of each resident. Contact us online for more information on specific therapies we offer or call (304) 752-8723 in Logan or (304) 235-7005 in Mingo to speak to our staff directly. Trinity Healthcare Services Inc. employs a team of qualified speech and language therapists who work with the individual needs of our residents. As part of their license, these clinicians maintain the highest standard of continuing education. This enables our team members to evaluate, diagnose, and treat communication disorders related to speech and language, cognitive communication, and swallowing. The use of speech therapy can be especially important for residents who have complex health needs and who may need reinforcement of basic skills to improve or restore independence. Speech-language pathology (SLP) relates to the broad scope of speech, language, swallowing, and voice issues. Where possible, speech therapy offers residents improved pronunciation and help with articulation. Word-finding and other issues related to dementia or other pragmatic aspects of speech can be identified, which may help to restore or improve communications and interactions. An important example is therapy for swallowing disorders or difficulties that relate to functional dysphagia or feeding disorders. These can occur at any age and have multiple causes. Physical therapists on staff at Trinity Healthcare Services work to address the illness or injuries that limit the individual’s abilities to move and perform every day. 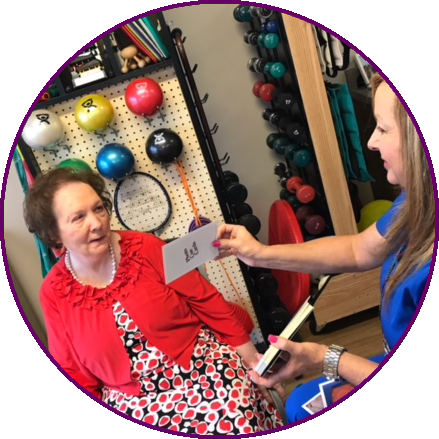 They review health histories and tests to provide a plan of therapy that may include prescribing specific exercises, provide assistive devices or other physical aids, and encourage development or restoration of movement and functional ability. This is especially important when aging, injury, disease, or other factors threaten movement and function. Functional movement is key to being healthy and our physical therapists ensure quality care for residents. 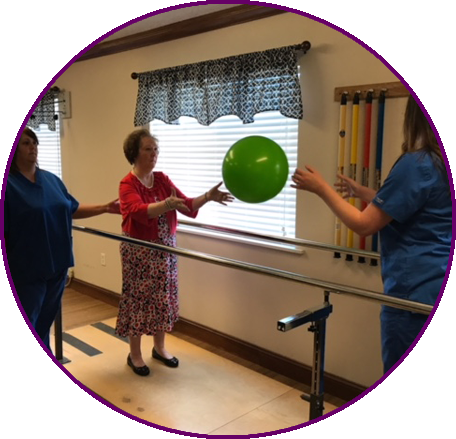 Trinity Healthcare provides occupational therapy to residents, to address impairments that may arise from injury, disability, or mental health. The OT staff members help people with daily living activities to better manage physical and cognitive changes. Occupational therapists may address such areas as bathing/showering, toileting, hygiene, grooming, dressing, feeding, and functional mobility. Trinity Healthcare residents may receive additional aid to address health or financial management, medication management, safety and sleep preparation, and even recreation and leisure activities. OT provided within the walls of our facilities can bring greater engagement and socialization opportunities for the residents in our care.